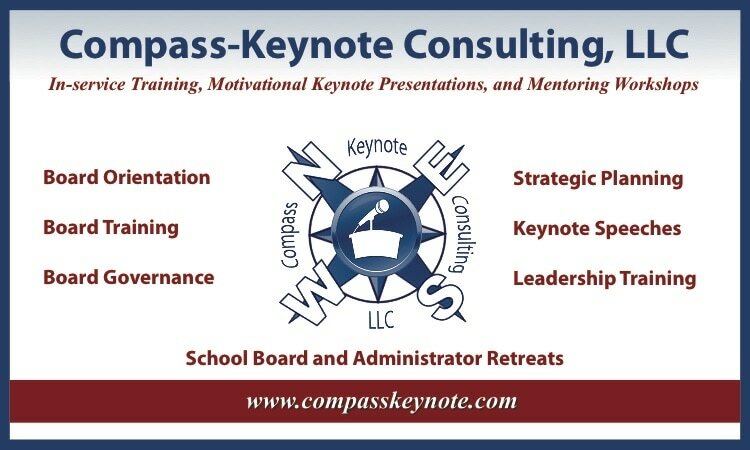 Dr. James M. Halik is the President and Founder of Compass-Keynote Consulting, LLC since 2013. Dr. Halik recently conducted and published a national study on the topic, "Does The Training of School Board Members Make a Difference." He is a master facilitator for school board member orientation and on-going board training, long-range strategic planning sessions for both schools and school districts, and provides schools and school districts with inspirational opening of school keynote addresses. His services are in demand and his client list continues to grow. In addition to managing his own business, Dr. Halik is employed part-time by Neola as an Indiana Associate where he assists 78 school corporations with writing and updating Board Policy, Administrative Guidelines, Forms, and Handbooks. The list of Neola Clients he serves continues to grow. Dr. Halik's experience as an educator spans more than 45 years. He served 21 years as a public school superintendent in the Indianapolis area suburbs (10 years for the Franklin Community School Corporation and 10 years for the Community School Corporation of Southern Hancock County). In addition to superintendent of schools he held positions as a middle science teacher, athletic director, and coach, part-time adjunct professor for nearly 3 decades at four colleges/universities, and 19 years as a school principal.